Geez, I can’t seem to detach them from my legs. I can’t explain how comfortable they are and plus they are very stylish. 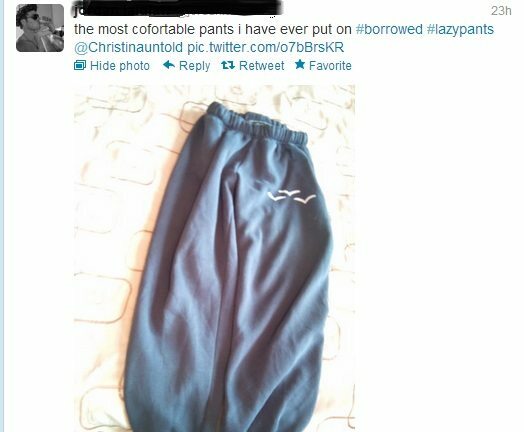 I wore them to school this week and a lot of my friends,who are also like me (sweatpants lovers), asked where I bought my sweatpants. 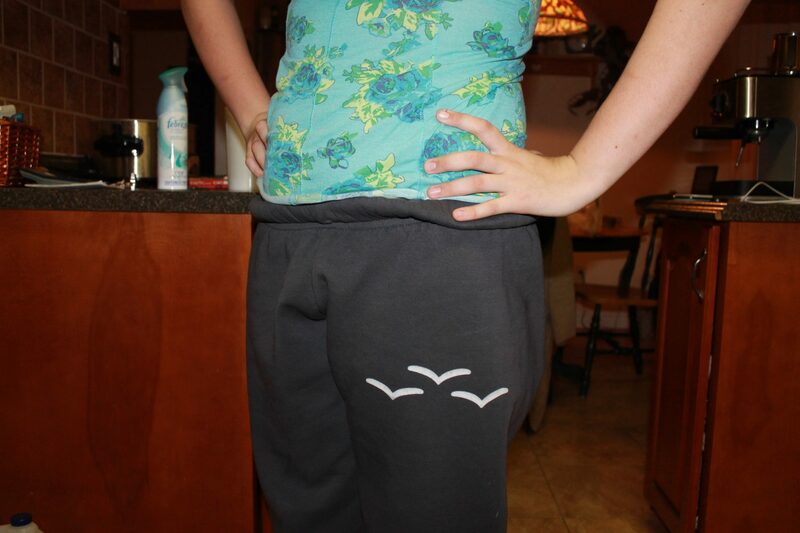 They loved the signature bird insignia on the pants! When I told them they come in many colours they said they’d defiantly check out the site! I absolutely love the pants and for sure will buy all the colours because I think they’ll end up being my sweet little addiction. 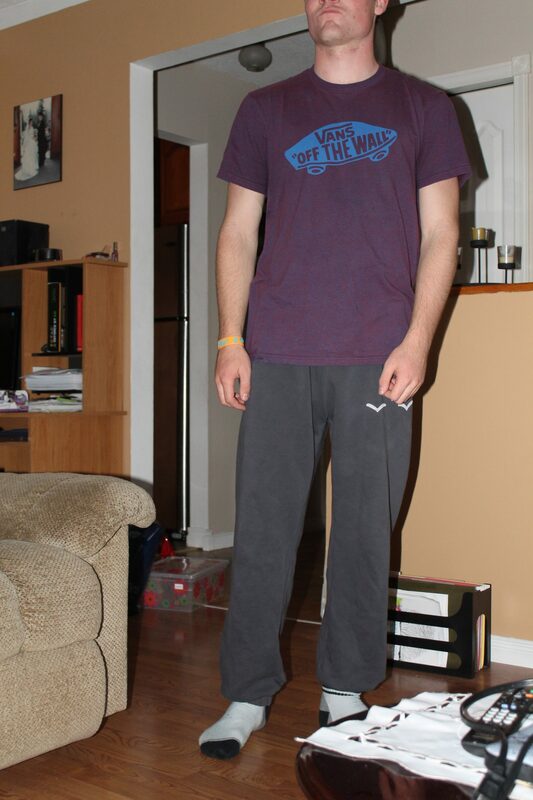 My Lazypants are grey! Lazypants come in all sorts of colours, such as pink,red, yellow, blue and well your normal sweat pant colours! 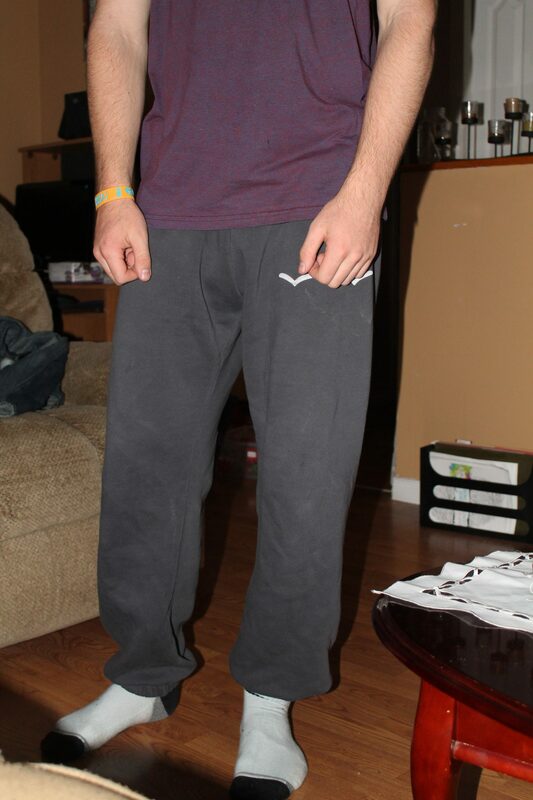 Check out the photos I took of myself and my boyfriend in the grey style Lazypants! 🙂 Give them a follow on Facebook and check out their holiday fashions! This product is a great 2012 Holiday Gift Giving Idea for the “lazy” man or woman in your life. Check out how to buy online today.